As a company grows, it gets more customers and more routes. But customers come and go, so routes need to be reworked constantly. Making these adjustments by hand can take many hours. In addition to tweaking routes to add new destinations and drop old destinations, you also need to consolidate and rebalance routes so that work is split evenly between all your drivers. It’s a tedious task, to say the least. Route4Me consolidates and rebalances your routes with just a few clicks. 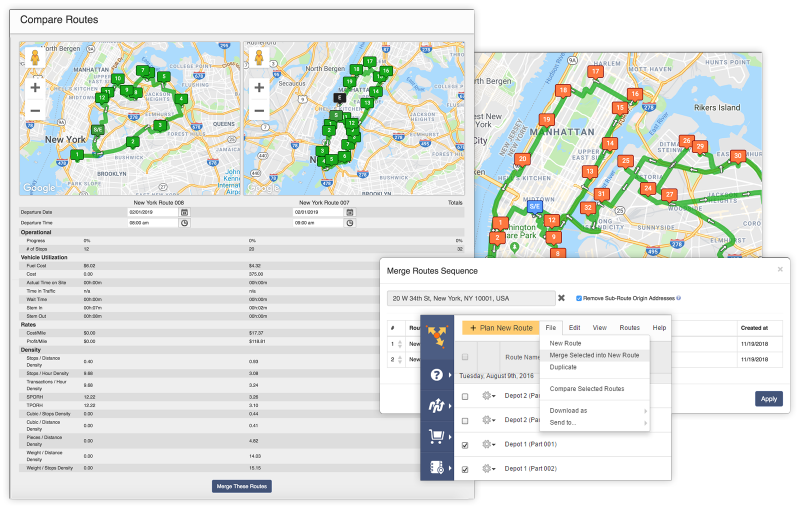 Instead of waiting for the end of the quarter (and dreading it) to optimize your routes manually, you can do so instantly and with ease by using our software. Your drivers will be more efficient, and you’ll save a lot of time, too.